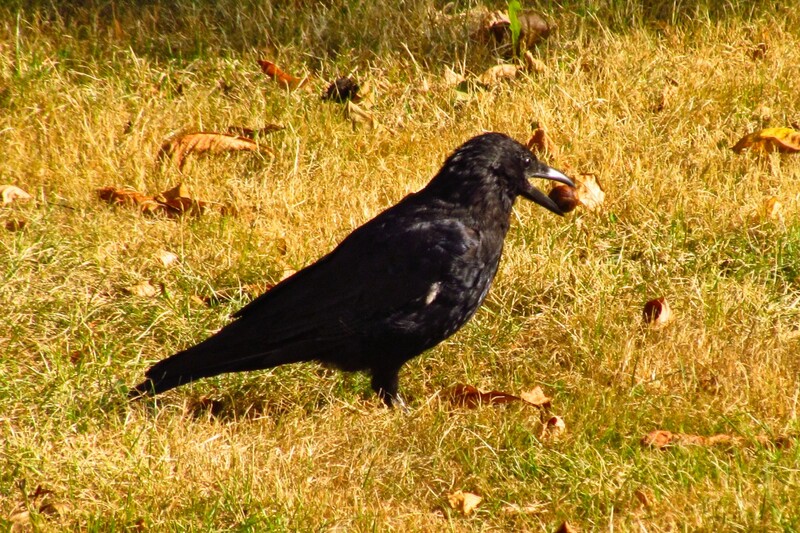 A Crow – or a Raven? – picking up a Walnut on the big backyard lawn. I took this photo on the last morning I had access to the downstairs balcony, so birdspotting there won’t be possible in the future – but except this, I still have a much better view on the upstairs balcony!